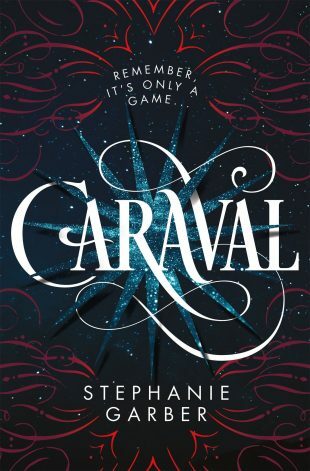 Stephanie Garber’s Caraval was one of my most anticipated reads for 2017. While, unfortunately, it did not quite live up to my very high expectations for it, I still found it an entertaining enough read that I wanted to continue the series, especially once I read the premise for the second book, Legendary, and saw that the story was being told from the perspective of my favorite character from Caraval, younger sister Donatella Dragna, or Tella as she is called. I didn’t feel like nearly enough attention was paid to Tella in the first book, so knowing that the second book is her story made Legendary a must-read for me. 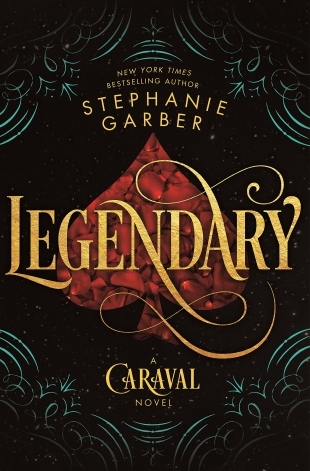 I kept my expectations in check this time around and I’m thrilled to say that Legendary far exceeded all of my expectations and now has me eager to complete the series. Reviewing middle books in a series is always so hard for me. I want to gush about everything I loved, but it’s hard to do it without potentially spoiling the first book for anyone who hasn’t read it yet. I’ve therefore decided to do this review a little differently than I normally do and just present you with all of the reasons why Legendary worked so much better for me than Caraval did. Hopefully it’s not spoilery, and if it is, hopefully it’s only mildly so. Tella is a more compelling narrator than Scarlett. 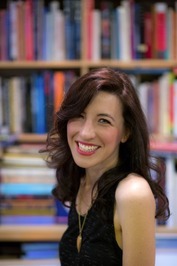 I’ll admit it…and I’m pretty sure I admitted it when I reviewed Caraval, Scarlett was not my favorite Dragna sister. While I liked her loyalty and devotion to her sister, Tella, beyond that she just didn’t really hold my attention at all. Tella, on the other hand, is a much more complex and interesting character. She’s the sister who everyone thinks is just high strung and flaky, and so they always underestimate her. I enjoyed watching the second installment of this series unfold through Tella’s eyes and even more so, I loved getting inside her head and discovering that there really is so much more to her than people give her credit for. Tella was actually my favorite character in Caraval and even though that first book was only an okay read for me, as soon as I heard Legendary was Tella’s story, I knew I had to continue the series and I’m thrilled that I did because the second book far exceeded my expectations and that’s mostly because of the change in perspective from Scarlett to Tella. Caraval Fall Out. Something that really made Legendary a more interesting read for me than Caraval was the fallout from being in an environment where literally no one could be trusted. Now that Scarlett and Tella are interacting with some of the Caraval players outside of the game, it adds an underlying element of mistrust in all of their interactions that I found very entertaining. It’s like “Can I trust you now? Do you really like me or is this still an act?” All of the players are clearly gifted actors so it was easy to understand why Tella and Scarlett remained so suspicious of them. Greater sense of urgency. Instead of just being an elite game that everyone is dying to play as in the first book, this time the Caraval experience has much higher stakes, thanks to a bargain Tella has secretly made with a mysterious and shady individual. There’s something she desperately wants that he says only he can deliver, but he’ll only do so if she can get something for him in return, the true identity of Caraval mastermind, Legend. Legend’s identity is one of Caraval’s best kept secrets and the only way she can get it is to win Caraval. As soon as Tella begins to play, however, she learns that this Caraval is quite different from the first one she participated in, dangerously so. It becomes clear that Legend has enemies who will stop at nothing to take him down and won’t hesitate to take Tella down as well if she gets in their way. Rules are Made to be Broken. One of the reasons I wasn’t keen on Scarlett in the first book was her refusal to let the main rule of Caraval sink into her head. No matter how many times people reminded her it was just a game, nothing was real, she just took everything so seriously and kept diving off the deep end. For that reason, I loved the twist Garber throws in Legendary. Instead of being told that nothing is real and everything’s a game, Tella is instead warned that this time around, everything IS real. It keeps Tella and the reader in a constant state of doubt over whether things are real or not because this situation is the exact opposite of what we and Tella were expecting and it’s hard to believe Caraval would completely change up its number one rule. Less “Purple” Prose. I was not a huge fan of some of the writing in Caraval. In some ways it felt like Garber was just trying too hard to convey a sense of the magical atmosphere that is Caraval, using overly flowery descriptions that sometimes didn’t make sense and therefore slowed down my reading of the story. That said, however, Garber really hits her stride in Legendary and her efforts to capture the magical atmosphere of the latest Caraval setting just felt so much more effortless. I really appreciated how easily I was able to breeze through the writing this time and only stumbled over an occasional “purple” phrase: “The air tasted like wonder. Like candied butterfly wings caught in sugared spiderwebs, and drunken peaches coated in luck.” I’ll admit that one gave me pause, but generally speaking, the descriptions just felt so much more natural and streamlined in Legendary and Garber has done this while still retaining all of the magical quality that is Caraval. The Fates. I can’t really say anything about this without spoiling the second book. If you’ve already read it, you know what I’m talking about, and if you haven’t, you‘ll know why I loved this part so much. The addition of the Fates to the story was both unexpected and totally brilliant. So there you have it. I hope I’ve managed to convey my love of the second book without completely spoiling the first for those who haven’t started the series yet. I’ll close by saying while I may have gotten off to a rough start with the Caraval series, I’m all in now and can’t wait to get my hands on the final book in this magical trilogy.